This workshop will introduce students to basic small mammal taxidermy processes. This one day workshop is designed for beginners to learn techniques used in small mammal taxidermy. The class is designed for absolute beginners (but will also satisfy more experienced students) and cover all steps used in small mammal taxidermy from start to finish. No harsh or dangerous chemicals will be used and all animals are disease-free and deceased. Students will learn the taxidermy processes of skinning and mounting either a small rat (specimen, size and color depending on availability). All specimens are ethically sourced and each participant will receive a mouse to work on and complete. Class cost includes the lesson, specimen, and all supplies. Students will be able to pose the arms and legs of their mouse to their liking, and are encouraged to bring miniature props to decorate. 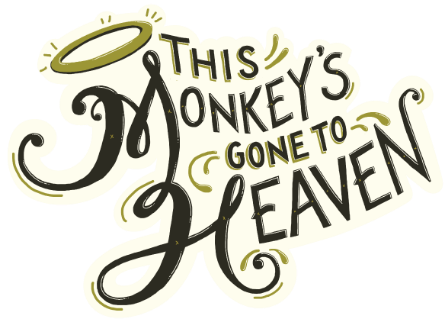 *A select amount of props will also be available in house for purchase at This Monkey’s Gone To Heaven. Jonna Lepeska graduated from Queen Margaret University in Edinburgh, Scotland 2011 as Bachelor of Arts in Theater Production with Honors and Distinction. She specialized in Scenic Art and has worked with the Finnish National Opera, BBC Scotland, in several film, theater, and event companies in Finland, UK and UAE. Jonna was born in Helsinki, Finland 1979. She now lives in Vancouver BC, Canada and is pursuing her career in the film industry. She spends her free time collecting small items from nature, making micro world installations including insects, bugs and small mammals that she stuffs herself. She runs workshops for adults "Stuff The Rat, taxidermy", "Re-vamp Your Furniture" and "Make Your Own Micro World" have all been sold out. Jonna was part of the Helsinki Desing Week in 2016 with her"micro world" workshop which was a huge success. She also paints murals and re-vamps furniture for private properties, restaurants, shops etc. So do not hesitate to get in touch!